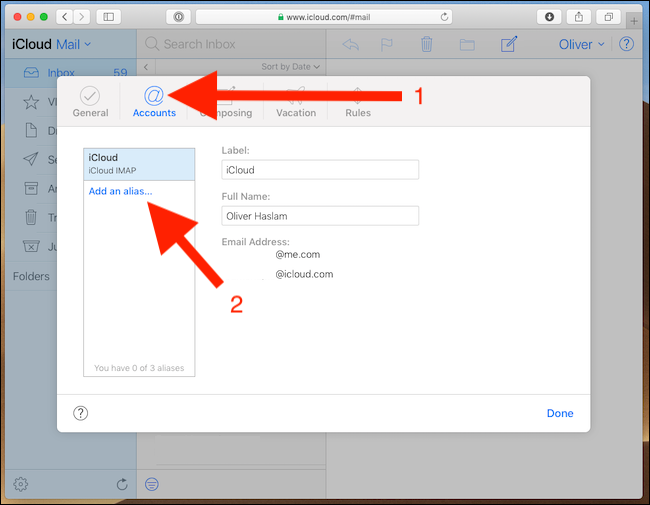 Using an iCloud email alias is a great way of disguising your real email address. You can use an alias when signing up for newsletters or websites, keeping your real address out of their database. We’re going to show you how. Handing your real email address over to someone who you might not know or trust to keep it private can lead to spam and general misuse. 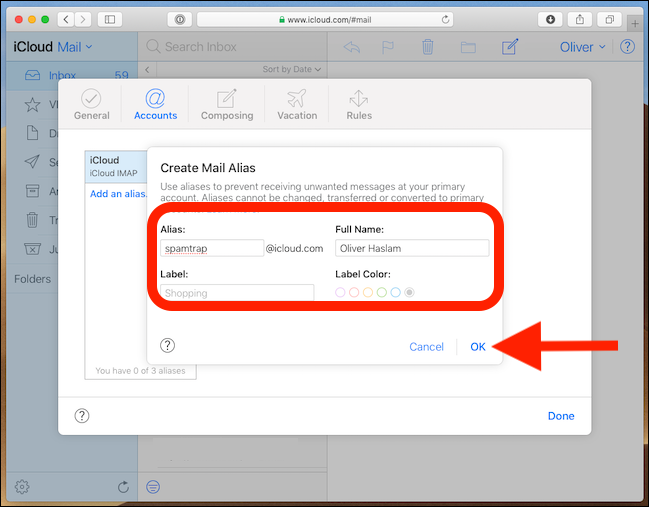 By creating an alias, you’re adding a buffer between the email sender and your master email address. 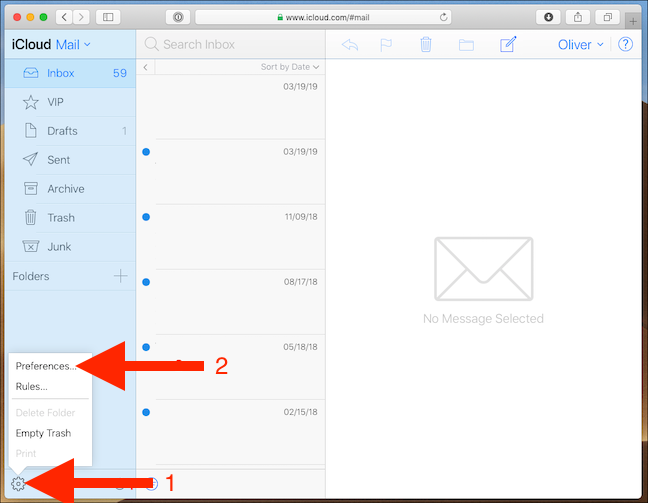 They never see that master email address; all the messages sent to your alias addresses automatically appear in your normal inbox—the one attached to your real email address—and the sender need never know that address in order to reach you. Think of it as an email firewall, if you will. 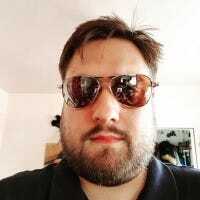 The beauty of giving an alias email address out is that if it does become a source of constant spam, you can simply burn it and create another. That’s not so easy if it’s your master email address. Sounds great, right? 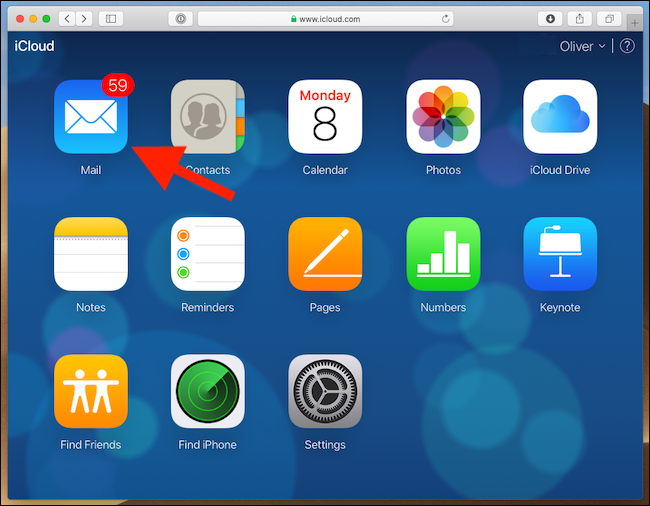 It really is, and Apple lets you create a bunch of aliases for your iCloud.com email address. Your new alias is now ready to use. 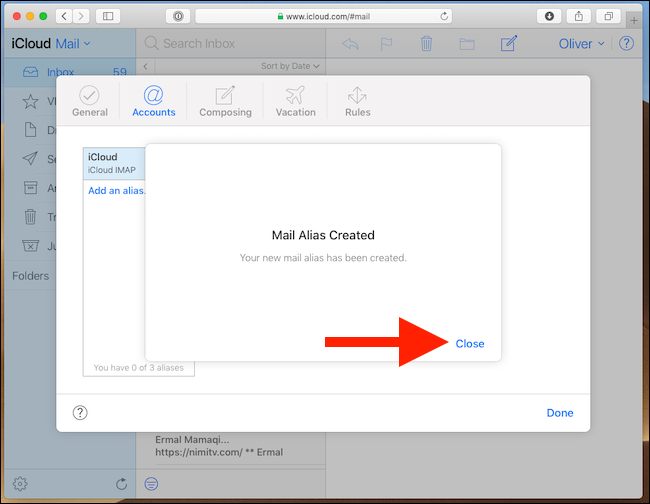 Any emails sent to your new alias will automatically appear in your main inbox as if they had been sent to your master email address.